The city of Palm Coast is found in Flagler County, Florida and provides a home for about 80,600 residents. It’s a part of a much larger area, which includes Daytona Beach. With the many events that come to Daytona Beach and the surrounding area every year, Palm Coast sees a large number of visitors. Adding visitors to the regular area population brings new driving styles, drivers unfamiliar with the roads and a number of other dangers to the roads. With the many beaches throughout the area and plenty of nearby attractions, visitors come from in-state, out-of-state and from outside of the country to the area. Interstate 95 runs directly through Palm Coast. Drivers needing to get to Daytona Beach, Miami or any other area on the Atlantic Coast most likely travel through the area. I-95 carries over 186,000 vehicles on an average day. The most deadly highway found in the United States is the Florida portion of I-95. Many visitors come to the area with their unique driving styles every year. The visitors coming to the area are not familiar with the roads adding to the danger. Traffic accidents in Flagler County and Palm Coast are on the rise. It's hard to imagine how many more traffic accidents would happen every year if the roads were not properly monitored within the area. About 5,300 traffic tickets were handed out across Flagler County for 2015. Out of these tickets, nearly 3,700 were for speeding with another 245 for careless driving and 208 from red light cameras. These are serious offenses and very dangerous. Judges only dismissed 8% of all the tickets issued, so your chances of getting out of a traffic ticket are very slim. If any driver accumulates 12 points in 12 months, they will have their license suspended for 30 days. That may not seem like a big deal, but get 18 points in 18 months and you'll face a 90-day suspension. Even worse, if you get 24 points in 36 months, you will lose your license for a year. Any driver caught driving with a suspended license faces up to $500 in fines and 90 days in jail. This offense is taken very seriously by the State of Florida. If you get your first ticket or if you're eligible, you can use traffic school to avoid points on your license. Not only will this help you avoid a driver's license suspension, but it will also keep your insurance rates from going up. The process is very simple and you don’t even need to leave your home to attend traffic school. 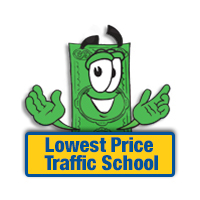 When you get a ticket, you will need to pay the ticket if you plan to enroll in traffic school. Make sure you let the clerk of the court know you plan to attend the basic driver improvement course. You can enroll online and finish the class online from the comfort of your home. Then, you will need to take the certificate of completion you will receive and turn it in to the clerk of the court. After completing this process no points will be added to your license and you won't have to worry about your insurance rates going up. 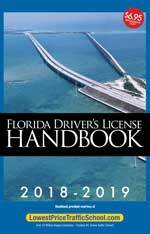 As a driver in the State of Florida, you can take the basic driver improvement course up to five times in your lifetime. This course can be used once every 12 months to erase points from your license. If you haven't taken the course five total times or in the past 12 months, you can use it to avoid points on your license. All tickets issued in Palm Coast, Florida are handled by the Flagler County Clerk of the Court. This is where you pay the fine and turn in your certificate of completion from traffic school. If you need more information about the Flagler County Clerk of the Court, you can find it on their website.